Well located in quiet area of the village of Javea. large, spacious and comfortable. This apartment is located in a building that consists only of four houses, one per floor. The apartment is a corner unit and has lots of light and good ventilation. It has a spacious living room with fireplace, kitchen, four double bedrooms and two bathrooms. In addition is completely surrounded by balconies. On the upper terrace which is community, being a very familiar building,are barbecues, being it of this apartment in the storage room, which has become a summer kitchen to enjoy more of this terrace. The House is a great investment opportunity since it is easily rent to be well located and have four bedrooms. Apartment for sale in Javea Port, top floor (3rd), at the moment there is no lift but a lift in being installed within the next 3 months, there are 4 double bedrooms and 2 bathroom, lounge an dining room leads onto a south facing balcony, kitchen with a separate utility room, this apartment needs reforming but it has lots of potential. 30 euros per month community charges. Situated in the heart of Javea Port and is within walking distance to all amenities and the sea. There is also a possibility to buy a storage room and parking space for an additional 18,000 euros. New construction in a flat and quiet area in the centre of the town of Javea, this apartment have 3 bed and 2 bath. Spacious dining room with 4 windows and access to natural light, connected with a spacious terrace of 14m 2. Three bedrooms with fitted wardrobes, two bathrooms with showers, one of them en-suite. Kitchen completely independent and wide and with natural light. Parcela plana en venta en Javea con buenas vistas, ubicada en una nueva urbanización con gas de red, sin constructores, construya la villa de su propio diseño. This beautiful apartment is situated on the edge of the old town of Javea in walking distance to all ameniteis and a short distance to the charming and popular port of Javea. The aparmtnet consists of 4 large bedorom and two comnpletely reformed bathrooms, and spacious new equipped kitchen and a ample lounge and dinign room with lots of light and access to the terrace that goes around the entire apartment. From here you enojoy a beautiful panorama of sea and mountain views. The apartment get sun all days due to its great south and east orientation. Stunning sunrises can be enjoyed throughout most parts of the proeprty especially the living area and terrace. Very well located plot under the Montgo mountain in Javea. Large,flat plot, just a 5 minute drive from Javea's historic center or the quaint town of Jesus Pobre. Very easy access yet good private location. Great views and micro climate,south facing. 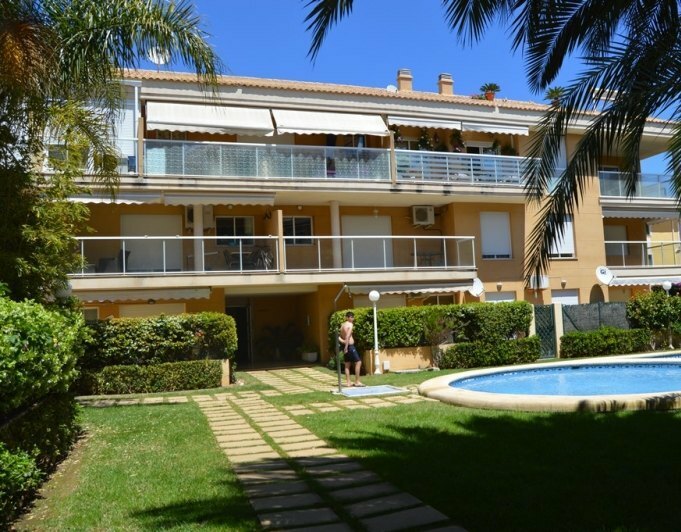 Apartment for sale in Javea, on the Avenida Augusta area, in a lovely urbanization with communal garden and swimming pool. Just a few steps to the sea and services. It consists of living room, kitchen, 2 bedrooms, 1 bathroom, 1 toilet and terrace overlooking the communal area. 2 Bedroom Apartment for sale in Javea Port, recently refurbished, on one level this 1st floor apartment has 2 bedrooms and one bathroom, lounge/dining room, Modern kitchen with separate utility area.